The first step towards reading is learning each letter sound. For this, it is essential for kids to sharpen and develop their audio discrimination skills that will help them differentiate between sounds. 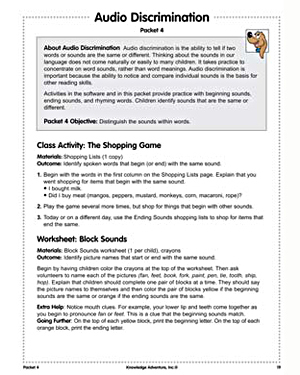 ‘Audio Discrimination’ is a set of reading activities and worksheets that focuses on beginning and ending sounds. Free and printable, these worksheets and activities are valuable resources for teachers who can use them in class as part of their reading lesson plans and make learning more fun for the kids!